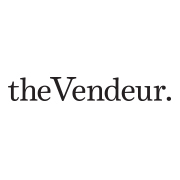 The Vendeur is a community of like minded responsible humans. Together we can do more. We would love for you to join our community. Simply subscribe below. We treat our subscribers right. No spam here! You can expect specially curated newsletters featuring the latest news, exclusive subscriber content and deals. So if you want to hear more from us them please subscribe and join our community.